Digital technologies help you and your company to simplify your life and improve the production efficiency. The IP Network is the "pillar" of your work. If you optimize your network you can maximize your business. In a digital world nothing is safe. Your company cannot be digital without a security infrastructure. 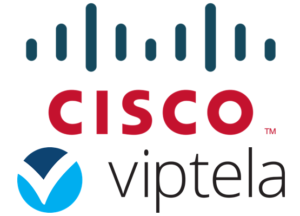 Yottaworld is a Cisco Registered Partner. We know how to optimize your network and maximize the speed and the efficiency of your job. We offer you an high level consulting service in network and security engineering suggesting you the best way to match your needs. We're expert in renewing your obsolete network infrastructure with the newest technologies provided by the best vendors. We protect your company's digital data from malicious with the best and most updated technology. We're looking for talented and passionate people! Azienda Italiana nata nel 2017 opera nel settore della Consulenza Informatica con particolare focus sulle tematiche di Network e Security in settori che spaziano da Telecomunication e Media a Finance e Retail. Yottaworld mette a disposizione dei propri clienti l'esperienza decennale dei propri dipendenti senior unita alla voglia di crescita di quelli junior.